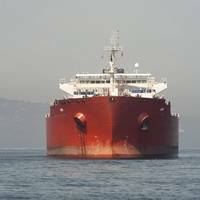 Almost three-quarters of cargo ships over 20,000 gross tonnage (GT) are already compliant with the SOLAS-mandated Electronic Chart Display and Information System (ECDIS) deadline of July 1, 2017, according to the latest figures published by the United Kingdom Hydrographic Office (UKHO). The UKHO estimates that a further 3,828 cargo ships over 20,000 GT are yet to make the transition to using an ENC (Electronic Navigational Chart) service and therefore do not yet meet SOLAS (Safety of Life at Sea) regulations on ECDIS carriage. Hydrogaphy, the science of surveying and charting bodies of water, is essential to the safe, sustainable and cost-effective use of the world’s oceans. This was International Maritime Organization (IMO) Secretary-General Kitack Lim’s message at the 1st Assembly of the International Hydrographic Organization (IHO) in Monaco (24 April). 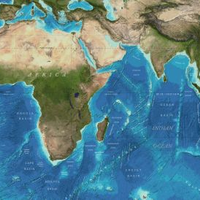 Around 90% of the world’s oceans and 50% of coastal waters have never had their depth measured. And there are higher resolution maps of the Moon, Mars and Venus than for most of the world’s maritime areas. Driven by the SOLAS-mandated transition to ECDIS, the adoption of digital navigation is the most visible sign of how navigational practices are being transformed. Additional tools are also playing an important role in supporting bridge teams and delivering accurate navigational information to the bridge. We are now halfway through the transition period under the timetable set out in the amendments to the SOLAS Convention adopted in 2009, requiring the mandatory carriage of ECDIS for ships engaged on international voyages. 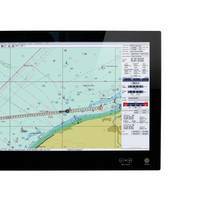 German navigation system manufacturer Raytheon Anschütz announced it is ready to deliver Electronic Chart Display & Information System (ECDIS) Software compliant with new International Electrotechnical Commission (IEC) and the International Hydrographic Organization (IHO) standards. The IEC and IHO have published new versions of some of their ECDIS standards, and all users must update their existing ECDIS to be in compliance by September 1, 2017. 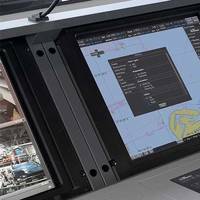 Raytheon Anschütz has finished type approval of the ECDIS Software according to these standards. 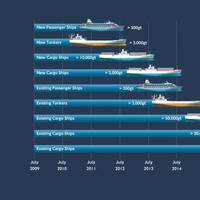 IHO announces new ECDIS Standards; 12 months to complete transition. Following the announcement of updated ECDIS Standards by the International Hydrographic Organization (IHO), the UKHO is encouraging all shipowners to speak to their ECDIS manufacturers to ensure a smooth, timely transition. The technical standards that govern the display of Electronic Navigational Charts (ENCs) within an ECDIS are the responsibility of the International Hydrographic Organization (IHO), the international body that coordinates the activities of the community of national hydrographic offices. 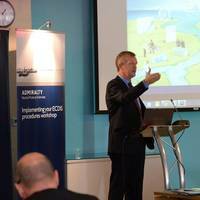 The United Kingdom Hydrographic Office (UKHO) has announced the details of its free-to-attend ECDIS Seminars at Nor-Shipping, which have been updated to include the implications for shipowners and operators of the updated IHO ENC (Electronic Nautical Charts) Standards. 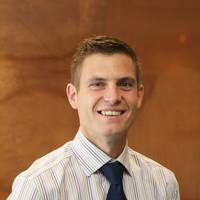 The UKHO’s ‘Living with ECDIS’ Seminars will take place on Wednesday, June 3 and Thursday, June 4 at Nor-Shipping and will be presented by Captain Paul Hailwood, a renowned expert on ECDIS and integrated bridge operations, and Tom Mellor. 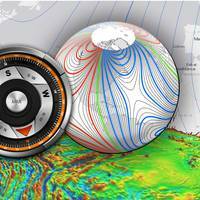 NOAA officials announced today the World Magnetic Model (WMM), a representation of Earth’s large-scale magnetic field and an indispensable complement to GPS devices used by NATO, the United States and United Kingdom militaries, as well as civil applications ranging from mineral exploration to smartphone apps, has been updated. Changes in the Earth's outer core trigger unpredictable changes in its magnetic field, an invisible force that extends from Earth's interior to where it meets a stream of charged particles emanating from the Sun. 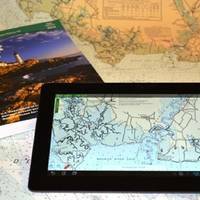 According to the report "Electronic Cartography Market by Application (Marine - Commercial and Defense, Aviation - Marine - Commercial and Defense), Components (Systems, Charts), Marine Electronic Navigation Systems (ECDIS, ECS), Aviation Electronic Navigation Systems (Very Large Aircrafts, Wide Body Aircrafts, Narrow Body Aircrafts), Marine Electronic Charts Licensing Mode (PAYS, Direct), Geography (APAC, Europe, North America, South America, Middle East and Africa) Forecast and Analysis, 2014-2020", published by MarketsandMarkets, the electronic cartography market is expected to reach $20.3 billion, growing with a CAGR of 1.46% from 2014 to 2020. The last few years have witnessed a well paced revolution in the electronic cartographic market. 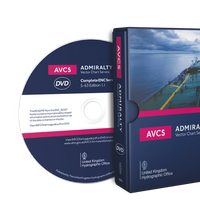 The United Kingdom Hydrographic Office (UKHO) unveiled plans to supply the Admiralty Vector Chart Service (AVCS) on one DVD from summer 2013, providing customers with a range of benefits, including faster loading speeds, reduced data handling and fewer warning messages. Combined with the existing online ENC updating service and custom exchange set option delivered through e-Navigator Planning Station, AVCS on one DVD marks a significant step forward in making open, S-63 based ENC services much easier for the mariner. Rolta India Ltd wins contract for establishing "National NAVTEX Network" from a subordinate office under the Ministry of Shipping, Road Transport & Highways, Government of India, that provides general aids to navigation along the Indian coast. NAVTEX is an international automated medium frequency service for delivery of navigational and meteorological warnings and forecasts, as well as urgent marine safety information to ships. NAVTEX is a component of the International Maritime Organization / International Hydrographic Organization, Worldwide Navigation Warning Service (WWNWS) and is also a major element of the Global Maritime Distress Safety System (GMDSS). 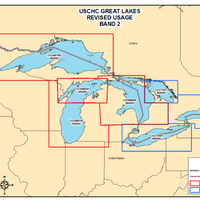 U.S. Coast and Geodetic Survey Chart No.1 has described the symbols used on paper nautical charts for 65 years. Mariners have had a standard guide for understanding the symbols, abbreviations and terms used on paper nautical charts since 1948. In a major step forward, a new edition of that guide also describes the symbols specified by the International Hydrographic Organization for the display of electronic navigational charts (ENC) on Electronic Chart Display and Information Systems (ECDIS). Several maritime nations produce their own versions of Chart 1. The U.S. Chart No. The Hydrographic Society UK, supported internationally, is arranging a conference: ' Digital Hydrography on the Maritime Web'. The Hydrographic Society UK (THS UK), supported by both the International Federation of Hydrographic Societies (IFHS) and the International Hydrographic Organization (IHO) is arranging a two-day conference - 'Digital Hydrography on the Maritime Web - Embracing the challenges and opportunities' - which will review the progress made, and steps still to be taken by professional Hydrographers to support the move towards a maritime web, more commonly described as e-Navigation. The Organising Committee is now seeking expressions of interest form potential speakers who wish to contribute to this important debate. IMO takes steps to ensure ECDIS manufacturers publish information about software updates for older systems. The manufacturers of ECDIS (Electronic Chart Display and Information Systems) equipment are to publish information on the latest versions of the software used to operate their equipment, in order to help clarify certain anomalies that had been identified with some older systems. This was the principal outcome of a meeting hosted by the IMO Secretariat earlier this week (11 September 2012) to discuss ways to address the matter. 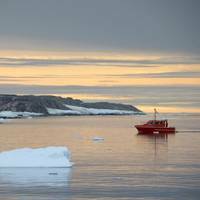 The information is to be posted on the website of the International Hydrographic Organization (IHO), and will include links to enable ships to download the latest versions of the operating software, if necessary.